I created Grass Roots Engineering so I could share the developments and continual improvements of my 3D printing machines, as well as my perspectives on the rapidly growing commercial and DIY 3D printing communities. I have been involved with 3D printing for some time now, since I first discovered it and my eyes were opened to the manufacturing possibilities while I was pursing my B.S. in Mechanical Engineering at Rensselaer Polytechnic Institute in Troy, NY, USA. This led to industry sponsored undergraduate research with 3D printing unique materials. I then went on to pursue a Masters of Engineering in Mechanical Engineering at Cornell University in Ithaca, NY, USA. 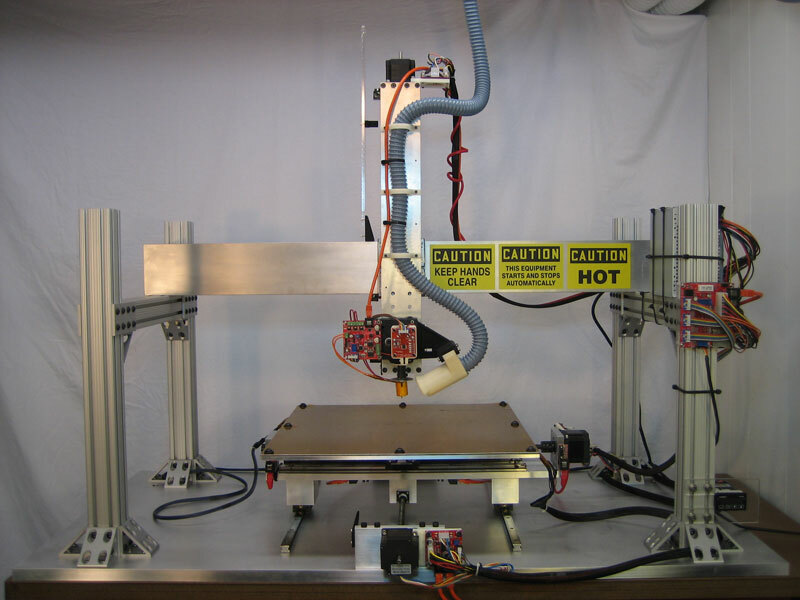 One of the reasons for choosing Cornell was to work on the open source Fab@Home project that was based there. As the Mechanical Systems team leader, I was in charge of designing and validating the new Model 2.0 system for public release [see My Fab@Home page]. I also have been working on a large scale 3D printer of my own design since late 2008 and as of Summer 2010, it is fully functional [more details on the My Machine page].